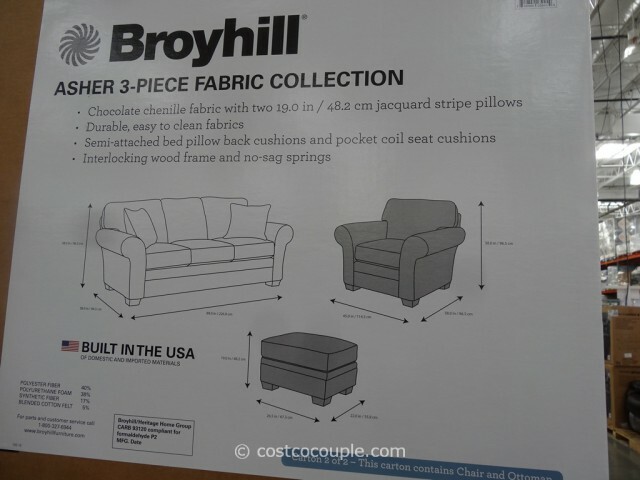 Check out the Broyhill Asher 3-Piece Set if you want a fabric sofa set that’s not too large, and won’t show dirt too easily. 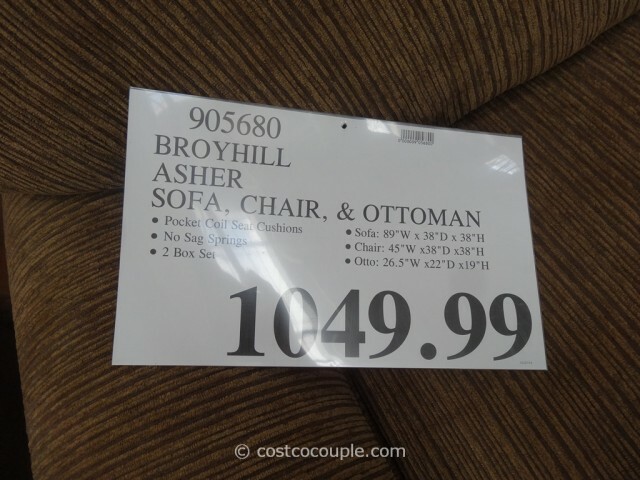 The set includes a sofa, a chair, an ottoman and 2 decorative pillows. 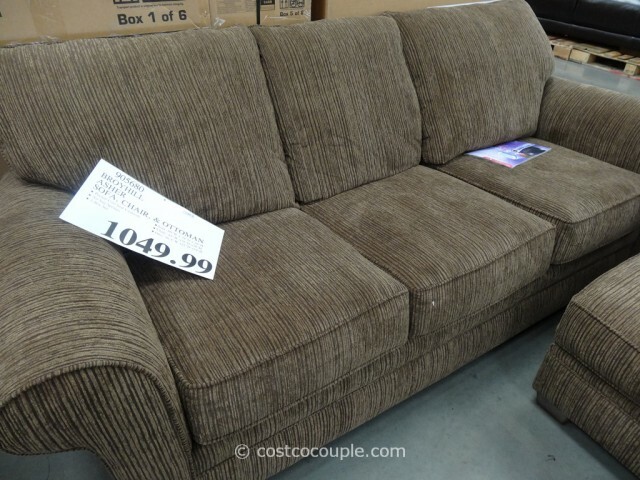 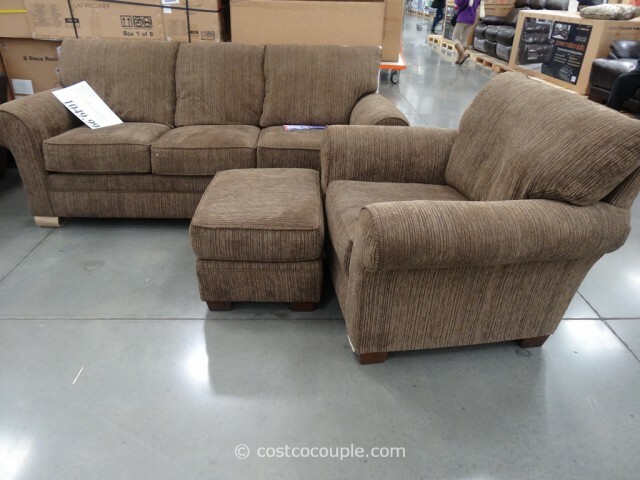 It’s upholstered in a chocolate chenille fabric that is soft yet durable and easy to clean. 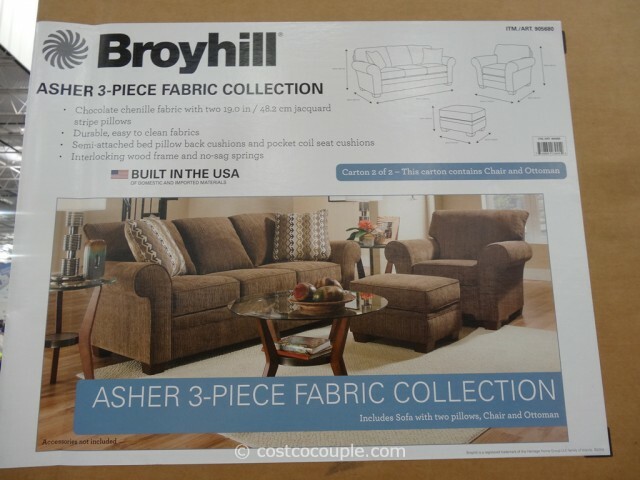 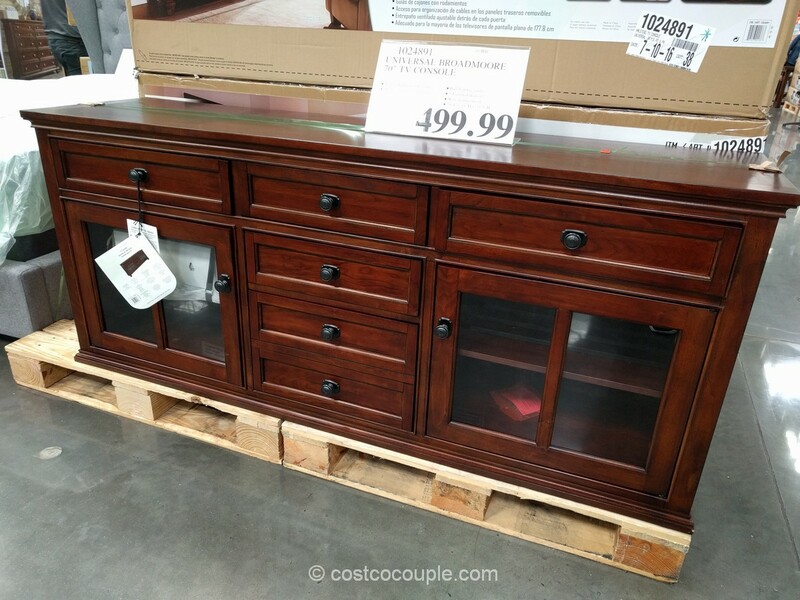 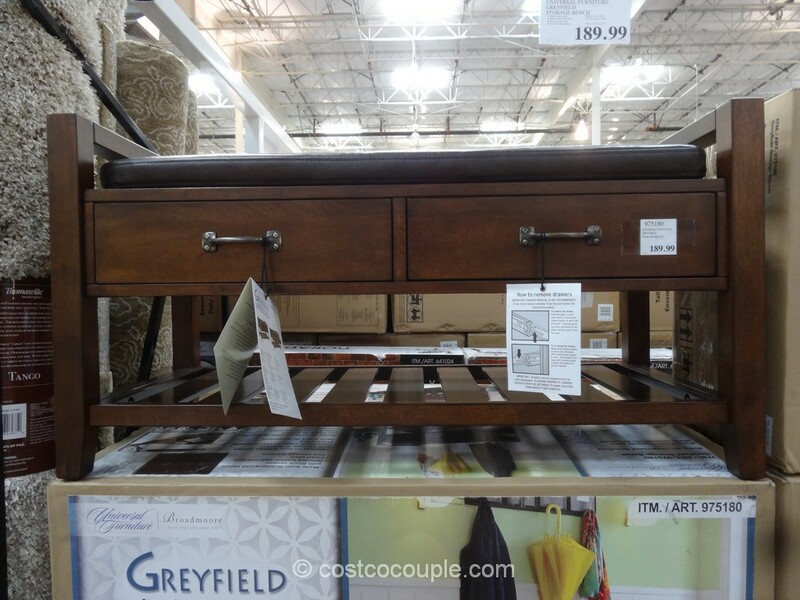 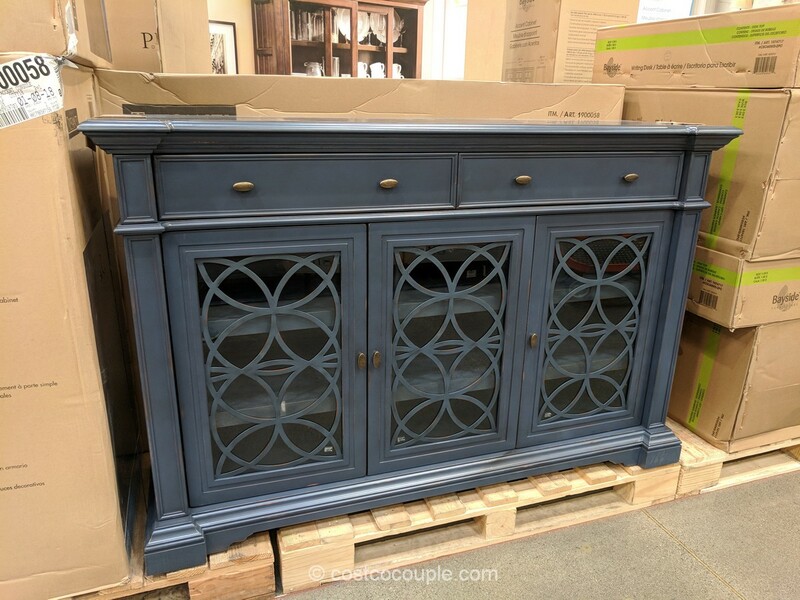 The Broyhill Asher 3-Piece Set is priced at $1049.99.